NANAIMO, British Columbia – Two months after a small Canadian town canceled a Chick-fil-A sponsored event due to concerns over the owners’ ‘criminal’ Christian beliefs, the town’s city council has officially rescinded their initial decision and reaffirmed the rights of men and women of all faiths to use their city’s facilities. As previously reported, the city council of Nanaimo, Canada, had planned to rent out an event center to a Georgia-based leadership organization for a May 9 simulcast. 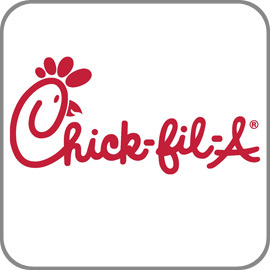 However, when the city leaders learned that the simulcast would be sponsored in part by Chick-fil-A, they decided to cancel the event, citing concerns over the Christian beliefs of the restaurant chain’s owners. Ezra Levant, a Canadian lawyer and best-selling author, said the city councilors’ anti-Christian remarks were both troubling and unwarranted. In response to the criticism, Nanaimo Mayor John Ruttan released a statement during a June 23 city council meeting, in which he reaffirmed the rights of all faiths to rent government-owned facilities. “The City of Nanaimo specifically reaffirms that men and women of all faiths are guaranteed the fundamental freedoms of conscience and religion and of thought, belief, opinion and expression and freedom of peaceful assembly and freedom of association in accordance with the Canadian Charter of Rights and Freedom and of the Human Rights Code of BC,” the mayor said in his statement, according to minutes from the council meeting. Then, after continued demands for an apology from the city council, the councilors decided on July 3 to rescind the original motion that had banned the Chick-fil-A sponsored event in May. According to the council’s meeting minutes, the July 3 motion passed the council with unanimous support.